Because there have been very few articles published about marijuana as an antiepileptic treatment, we know very little about it. The objective of this text is to shed light on what we do know about marijuana in the treatment of epilepsy. Is it really an antiepileptic? Cannabis or marijuana is a general term used to describe the psychoactive substances obtained from the Cannabis Sativa plant. According to the United Nations, it is the most commonly used illegal substance in the world but it hasn’t always been illegal. In fact, its use for medicinal purposes has been documented since 4000 BC. Only last century, marijuana could still be found in American pharmacies until its prohibition as an illegal substance. In 2004, the UN estimated that 4% of the world’s adult population consumed marijuana on a yearly basis while 0.6% did so on a daily basis. More than 400 different chemical components have been identified in marijuana but for the purpose of this article, we only need to know about two and these are cannabinoids. The most commonly known is the psychoactive component, tetrahydrocannabinol (THC) and the other is cannabidiol (CBD), a component considered to have medicinal properties. Probably the most memorable success story with regard to the treatment of epilepsy with marijuana is that of little Charlotte Figi. Charlotte is a young girl who began to have seizures at the age of three months. Before then, life had been normal for her. After her first seizure, she presented with other episodes, some with fever and others without, occasionally evolving into an status epilepticus. Due to the severity of her illness, Charlotte was transferred to a epilepsy centre where genetic tests were carried out. The results showed the mutation of the SCN1A gene, diagnosing Dravet syndrome. By the age of 5, it seemed that all available options had been exhausted and none of the medications had been effective. Contrary to showing signs of improvement, little Charlotte had learning difficulties, delayed motor development and could only ingest food and liquids through a tube. She walked and talked with great difficulty and required continual assistance in her daily activities. At this point, she was experiencing more than 50 tonic clonic seizures per day. Charlotte’s mother had heard of a little boy with epilepsy in California who was being treated with marijuana with positive results, and so began her journey familiarizing herself with marijuana as a medicine. She had claimed that she would never use marijuana herself and had strong reservations about giving it to her daughter. In Colorado, where Charlotte’s family lived, marijuana had been legalized so her mother consulted physicians, scientists, pro-marijuana activists, patients who used marijuana, growers, lawyers and suppliers and found that what little information did exist was quite confusing. However, what did become clear was that THC was a psychoactive component of marijuana and that another component, CBD had medicinal properties. She found a strain of the marijuana plant that had a higher concentration of this medicinal component and approached a chemist who helped her make an extract. Charlotte was given a few drops and, amazingly, for the first time in years, went 7 days without having any seizures. Later, Charlotte’s mother met Joel Stanley who, together with his brothers, grew a strain of marijuana with a high CBD content that was low in THC, for people who needed marijuana for medicinal purposes, and with his help they were able to continue Charlotte’s treatment. After 20 months of treatment, Charlotte only presented 2-3 nighttime crises a month, she could now eat and drink liquids unaided and her autistic behaviours such as aggression, self-harm, avoidance of eye-contact and poor of social interaction all diminished. She began to walk and talk again. Her mother stated that they had tried to reduce her cannabis intake, but this had resulted in an increase in seizures. Based on the success of Charlotte’s treatment, the Stanley brothers created a non-profit organization to enable patients with catastrophic epilepsy to have continued access to high quality, laboratory tested, high CBD content cannabis. They have helped more than 200 families to date. Their story can be seen in a documentary produced by CNN at the following link. (https://www.youtube.com/watch?v=VSiCInDR-kE). This report has earned marijuana some good publicity as a medicinal drug. What do we need to know about marijuana and epilepsy? The use of marijuana as a treatment for epilepsy is not new. Sir William Gowers, a recognized 19th Century neurologist, used cannabis to treat epilepsy, documenting a notable improvement in his patients’ conditions. In fact, in the mid-20th Century, the anticonvulsive effects of CBD and absence of toxicity had been reported in studies carried out on laboratory animals and in 1980, the same was reported in patients with epilepsy. However, reports have been made citing marijuana as a pro-convulsive drug. Based on what we know about the plant, it seems that these contradictory results are due to the complexity of the plant itself. Cannabis Sativa contains 489 known elements, of which 80 are cannabinoids and the rest are terpenes, hydrocarbons, ketones, aldehydes and other hydrophobic components. The two main components are THC and CBD, and, as we have mentioned, the former has psychoactive properties and the latter component is reported to be antiepileptic. Each strain of the plant can contain different percentages of each substance, which means that not every plant can be used as an anti epileptic drug. Furthermore, the means of administration must be taken into account. Vapourising or smoking marijuana requires heat, which could alter the anti epileptic substances, and smoke contains other harmful substances. But if consumed orally, the substances must be able to survive the acidity of the stomach and the metabolism the occurrs in the liver. It is not entirely clear how CBD takes medicinal effect. For a substance to work in our bodies, we must have a receptor that corresponds with it. In this case, the corresponding system found in our bodies is called the endocannabinoid system. Its components have 2 receptors, CB1 and CB2. CB1 is located at the nerve endings and in the central nervous system while CB2 is found mainly in the cells of the immune system, allowing cannabis’ antiinflammatory and immunosuppressive actions to take place. We do not yet know how CB1 has an antiepileptic effect. What we do know is that they act by reducing GABA-mediated signalling in the inhibitory synapses and the release of excitatory neurotransmitters is also regulated. Is it safe to use marijuana? The use of marijuana is not totally safe but let us consider what we know of it as a medicinal and a recreational drug. Two studies, one published in the USA in 1994 and another published in the UK in 2007 state that cannabis as a drug which causes less dependence and physical damage than alcohol and tobacco smoke. With epilepsy, most medications have various side-effects and many of these can be severe. There is no established therapeutic dose of CBD that does not produce some side-effects. 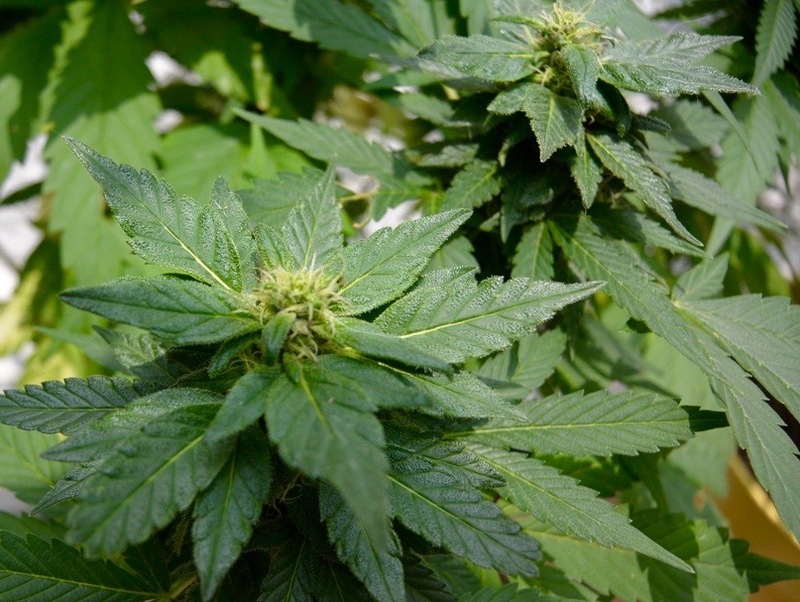 What other illnesses are potentially treatable with marijuana, according to studies? At present, components of the plant are being studied for the treatment of chronic pain, cancer, arthritis, AIDS, spinal cord injuries, Parkinson’s disease and multiple sclerosis. What do we think? / What is our recommendation? This article is does not aim for the reader to go out and make his or her own extract of cannabis. In fact, there were several cases of intoxicated children after the broadcast of the CNN documentary because some people did exactly this. We cannot recommend the use of marijuana for all patients with epilepsy, but further studies must be carried out into the components of cannabis that have proven to have an anti convulsive effect in order to seriously consider it as an option in the treatment of patients with epilepsy who are resistant to pharmaceutical drugs and are not candidates for surgery, or for whom surgery has been unsuccessful. For now, we need research to be allowed to continue and that the Mexican authorities permit its use for medicinal purposes. Written by: Laura Hernandez, MD. Anthony JC, Warner LA, Kessler RC. Comparative epidemiology of dependence on tobacco, alcohol, controlled substances, and inhalants: basic findings from the National Comorbidity Survey. Exp Clin Psychopharm. 1994;244-68. NuttD,KingLA,SaulsburyW,etal.Developmentofarationalscale to assess the harm of drugs of potential misuse. Lancet. 2007;369:1047-53. Below are some references for those who would like to read more about the research of marijuana as a treatment of epilepsy. Porter BE, Jacobson C. Report of a parent survey of cannabidiol-enriched cannabis use in pediatric treatment-resistant epilepsy. Epilepsy Behav. 2013 Dec;29(3):574-7. Devinsky O, Cilio MR, Cross H, Fernandez-Ruiz J, French J, Hill C, Katz R, Di Marzo V, Jutras-Aswad D, Notcutt WG, Martinez-Orgado J, Robson PJ, Rohrback BG, Thiele E, Whalley B, Friedman D. Cannabidiol: pharmacology and potential therapeutic role in epilepsy and other neuropsychiatric disorders. Epilepsia. 2014 Jun;55(6):791-802. Keeler MH, Reifler CB. Grand mal convulsions subsequent to marijuana use. Case report. Dis Nerv Syst 1967;28:474–475. Carlini EA, Leite JR, Tannhauser M, et al. Cannabidiol and Cannabis sativa extract protect mice and rats against convulsive agents. J Pharm Pharmacol 1973;25:664–665. Wada JA, Wake A, Sato M, et al. Antiepileptic and prophylactic effects of tetrahydrocannabinols in amygdaloid kindled cats. Epilepsia 1975;16:503–510. Wada JA, Osawa T, Corcoran ME. Effects of tetrahydrocannabinols on kindled amygdaloid seizures and photogenic seizures in Senegalese baboons. Papio papio. Epilepsia 1975;16:439–448. Cunha JM, Carlini EA, Pereira AE, et al. Chronic administration of cannabidiol to health volunteers and epileptic patients. Pharmacology 1980;21:175–185. several cases of intoxicated children after the broadcast of the CNN documentary because some people did exactly this. We cannot recommend the use of marijuana for all patients with epilepsy, but further studies must be carried out into the components of cannabis that have proven to have an anti convulsive effect in order to seriously consider it as an option in the treatment of patients with epilepsy who are resistant to pharmaceutical drugs and are not candidates for surgery, or for whom surgery has been unsuccessful. For now, we need research to be allowed to continue and that the Mexican authorities permit its use for medicinal purposes.